My Status Is Baddest: DO YOU WANT TO GET LOTS OF LIKES ON FACEBOOK? KEEP READING. DO YOU WANT TO GET LOTS OF LIKES ON FACEBOOK? KEEP READING. What keeps me awake at night? The idea that all of the funny status updates have been said. Then I check out the MY STATUS IS BADDEST Fan Page and all is right with the world. Think you can do better? 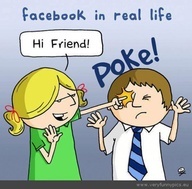 Become A FAN ON FACEBOOK and submit your most original, witty and hilarious status updates. Thanks for reading!